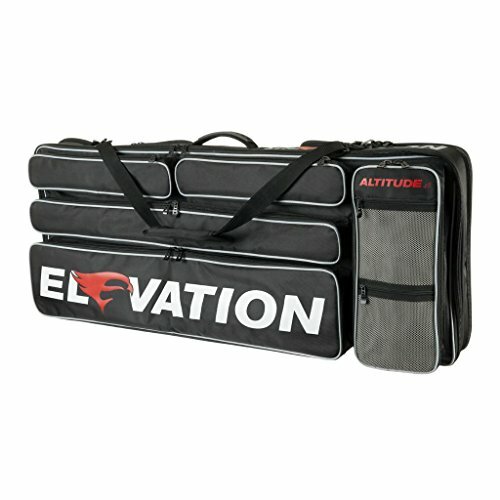 A full-size case constructed to accommodate most vertical bows and accessories - including target faces and a quiver. On the front of the case, pockets are specifically designed to accommodate two short and one long stabilizer. The oversized arrow pocket easily accommodates an arrow tube or case. The backside features two separate storage locations for target faces and a field/hip quiver. Interior features a soft lining with and string and cam cradle to. Includes a detachable shoulder strap and padded carry handle. Fits up to 43in. bow (cam-cam). If you have any questions about this product by Elevation, contact us by completing and submitting the form below. If you are looking for a specif part number, please include it with your message.